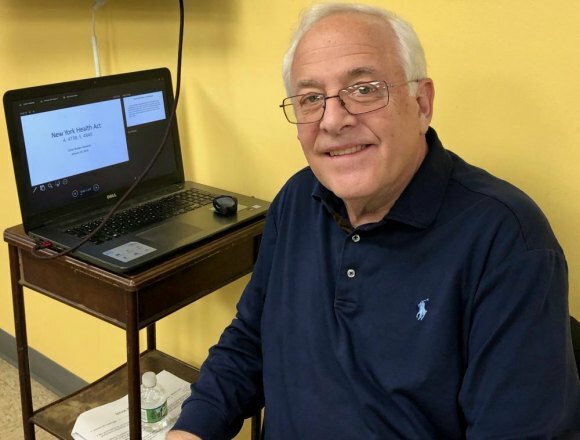 Henry Moss, PhD, a Board Member for Physicians for a National Health Program, watched a full house gather, filling up the Roosevelt Island Senior Center cafeteria until all chairs were filled, leaving a half-dozen standing at the back and leaning in from the corridor. It's a message people want to hear. Is it possible? We've never been nearer winning universal, guaranteed healthcare, is what Moss came to tell Islanders. The New York Health Act passed the NYS Assembly four years in a row, and a majority in the State Senate are on record in support. But that Albany being Albany, isn't enough. Pressure's needed, according to Dr. Moss, from the bottom up to get Senators to do the right thing and go bold on healthcare. The New York Health Act will provide comprehensive, universal health coverage for every New Yorker. You and your healthcare providers will work to keep you healthy—New York Health pays the bill. We need to fight back against the congressional attacks on affordable healthcare nationally and organize in New York for a healthcare system that guarantees coverage for all of us. For practical purposes, everyone would carry an identification card they'd pull out to obtain care, as easy as swiping at a Tram turnstile or paying for your groceries at Wholesome Factory. The program would be funded by taxes on all New Yorkers and pooling Medicaid and Medicare funds already in existence. Best of all, says the nonpartisan Rand Corporation, after studying NYHA, providing universal health care through the act would result in net savings for New Yorkers. Activist Ellen Polivy offers to organize pressure on our State Senator José Serrano. Since the State Assembly has already passed the New York Health Act four times and a majority of State Senators have pledged their support, it would seem easy, but State government's not so simple. There are obstacles, including a governor concerned about costs and opposition from insurance companies, who'll be knocked out the health care business in New York, hospital, drug and physician groups resisting some or all elements of the program. If the dream of high quality health care is to come true in New York, citizen action needs to bring pressure to bear on State Senators to push the act over the goal line. 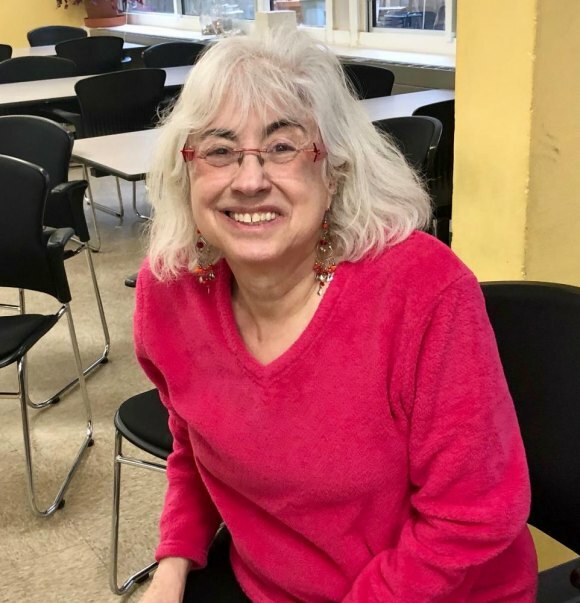 José Serrano represents Roosevelt Island and is a NYHA sponsor in the Senate, but believing that he needs to see our support, local activist Ellen Polivy is offering to lead a delegation of Roosevelt Islanders to his Bronx office to make our sentiments clear.